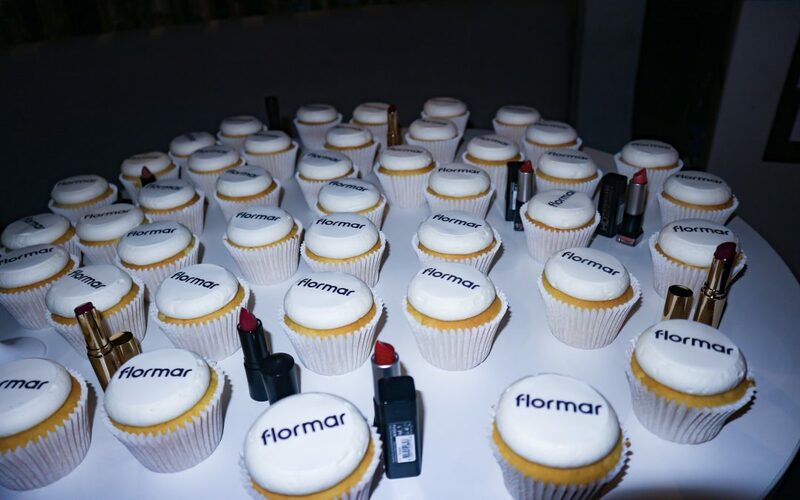 Flormar is a fashion forward cosmetic brand which will be launching in Primark in stores nationwide. The company originated in Turkey and after having huge success has officially launched over here in the UK. I entered a land of beauty at the launch party in Rascals. Greeted by a large glass of prosecco and a pick and mix table. The pick and mix was amazing with all the sweets you could imagine. 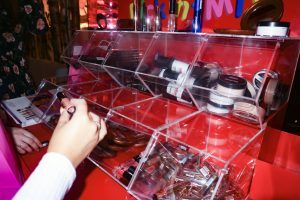 I also spotted a pick and mix filled with Flormar products, it was then I knew it was going to be in for a fun night. The decorations were to die for with huge lipstick, compact mirror and a perfume bottle statue and also a fun Photo Booth. I didn’t get to use it because the queue was so long but I saw all the props used. There were huge sunglasses, crazy wigs and blow up toys, which looked so fun. 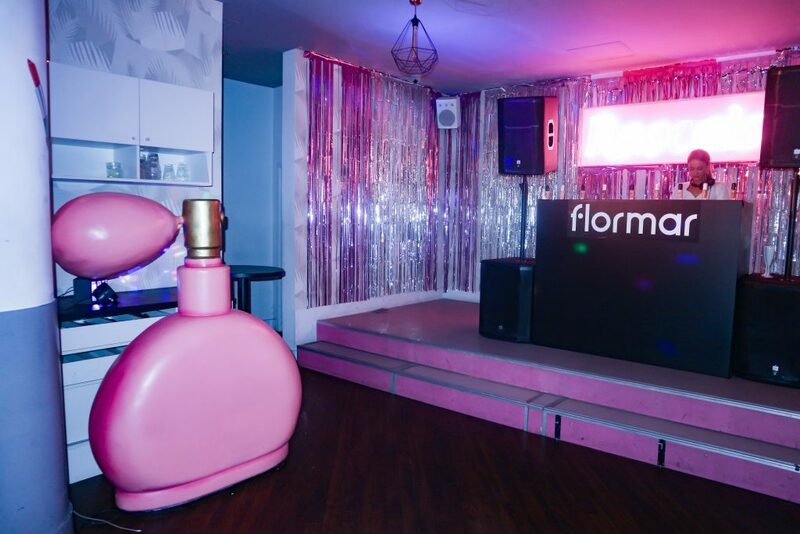 The iconic pink flower wall allowed you to slay the night and show off the Flormar products. Lighting in front helped to create the perfect selfie for all attendees, even James Lock and Yasmin Oukhellou were papped in front of this. The range is inspired by colour for the youths and trend led people. The Primer Makeup Base came in a small bottle which can easily fit in your bag and the product does not smell strong which I love. Accompanied by a Double Radiance Primer Highlighter which you use after but before the Perfect Coverage Foundation. There was a range of shades in the Deluxe Cashmere lipstick style and meant everyone could feel glamorous. To finish the look a perfect wing could be completed with Flormar’s eyeliner. I loved the fact that the collection consists of everything you need when making your face look beautiful. I decided to pick and mix a few products from Flormar after being told we could take some of their products. I tried out the Deluxe Cashmere lipstick style in Beige which suits my skin tone perfectly. The illuminating primer makeup base is very lasting and black eyeliner creates that perfect wing. Not only were we spoilt with makeup, we were also spoilt with food. 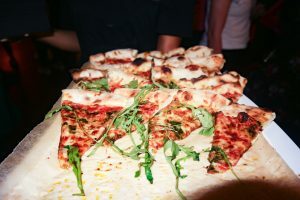 Pizza’s with all sorts of toppings from pepperoni to spinach to pesto. I ate the pizza while being pampered by one of the three beauticians. Think huge make up mirrors with lights and all of the Flormar products you could imagine. They pampered each person to test their foundation shade, lipstick shades and also eyeshadow which made us all feel cute. A special guest also made an appearance, Georgia from ‘Love Island’ who I know will be ‘loyal’ to the brand after trying out all the products and loving them. 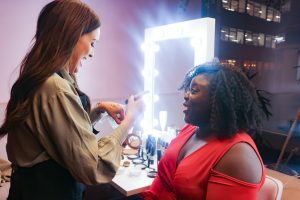 I did not want to leave this event and I felt like there were so many more products to try such as the highlighter. 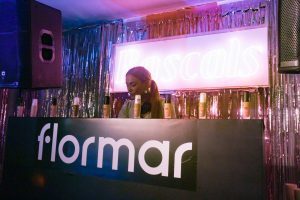 However, I am not too gutted as Flormar is opening in 11 Primark stores, make sure you get your hands on it as the products were amazing.